Glamour and comfort all in one! 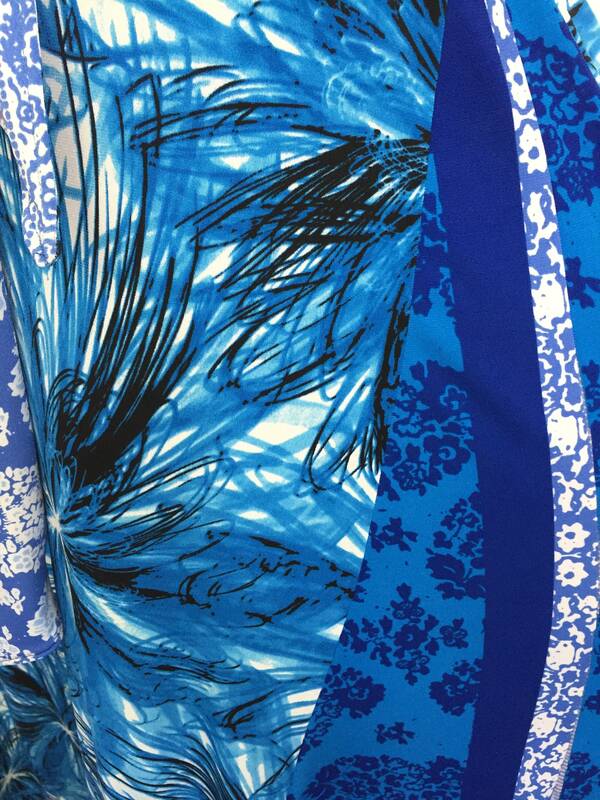 This bold abstract blue floral pops in a gorgeous spaghetti strap palazzo leg jumpsuit. This one piece moves like a dress but has the versatility of a skirt. The included belt changes the silhouette according to your wish. One size fits most - Model is 5'7" and wears a US size 4.